The eTT Series is the only Four-wheel Drive (4WD), Four-wheel Steer (4WS), and 80V A/C electric aircraft tug in its class. 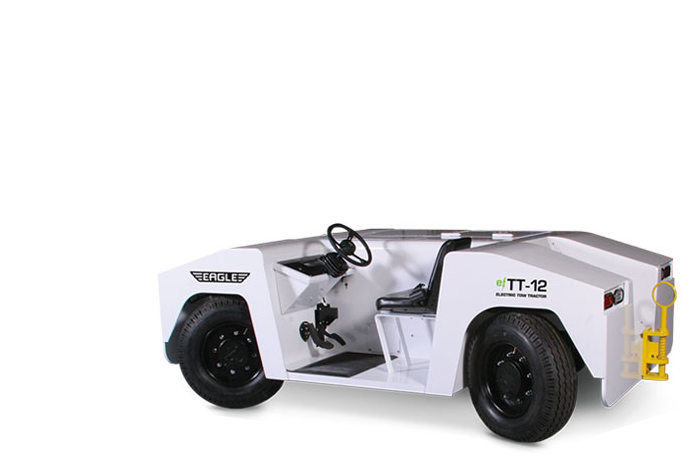 The eTT Series Electric Tug offers superior traction, maneuverability, and extremely low cost-per-hour of operation. And if that's not enough, this aircraft tug is also good for the environment, with zero-emissions. Get an industry-leading 3-year/3,000-hour warranty with the eTT Series with your purchase today! Ideal for business aircraft such as the G650 & Global 7000, and regional aircraft such as the E-195, in all weather conditions. Ideal for aircraft such as the G550 and Global 6000.